Join us for one of our many upcoming workshops and DIY projects. Country Chic Paint is a chalk and mineral based paint that is specifically designed for DIYers with a love for refinishing furniture and home decor. This fabulous paint is VOC FREE and contains no harmful solvents. 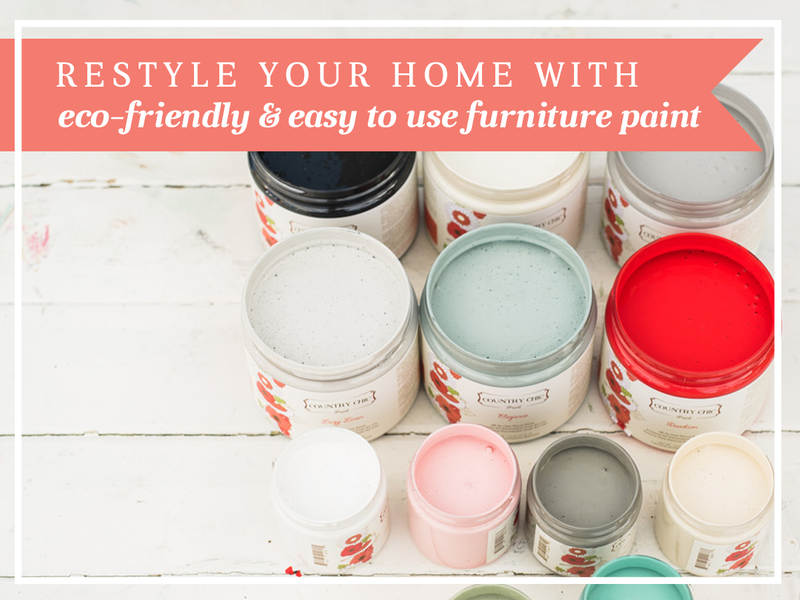 Applying Country Chic paint couldn’t be easier - whether you want to make a new piece look old or transform an old look with new color and style, you will love the beautiful smooth matte finish and all the delicious color choices. If you want to distress your piece, then this is the best paint for the job. You will love how simple it is to create a shabby chic look with Country Chic Paint. The best part? There’s very little prep work with Country Chic paint, only fabulous results!